In this post, I would like to outline my thoughts surrounding combining factors when using the 16pf questionnaire. I shall start by borrowing an analogy from my colleague Richard. 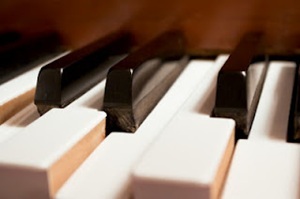 Playing the middle C on a piano creates a pleasant and inoffensive sound. However, if you were to combine, say, C, E and G then you gain a harmonic chord. The chord is much richer in texture and creates a pleasant sound that is pleasing to the ear. If we liken this analogy to the 16pf, interpreting one factor at a time can be insightful. But what if we were to combine factors together? We would then have a very powerful instrument at our fingertips. Note that – after a factor indicates a left hand sten of 1-3 and + after a factor indicates a right hand sten of 8-10. Bear in mind that we treat stens of 4 and 7 as midrange scores. With stens of 4 and 7 we acknowledge and recognise there might be a slight tendency for left hand and right hand behaviours. However, it is the situation and circumstance that will determine how the client uses these traits. This is something to always follow-up and explore during the feedback session. The first step is to review what is going on with all of the primary factors that make up the global factors. For example, a right hand result on the global factor ‘Relating to Others’ is made up of A(+), F(+), H(+), N(-) and Q2(-). We could combine these primary factors together and generate hypotheses for exploration in the feedback session. A candidate might have A+, F+ and N+ within their profile. From this, we could hypothesise the candidate is a warm and attentive person, in addition to being lively and spontaneous in their interactions. However, this might be moderated by the N+. We could hypothesise that they tend to be quite private and discreet too. Reviewing each of the primary and global factors in this way is a good start adding value. The second step involves reviewing all the 1-3 or – and 8-10 or + stens. Taking a highlighter to the profile and marking any stens that fall within these ranges is a good starting point. Once all the – and + stens have been highlighted, start asking what particular combinations would look like. For example, L- and N- is a noteworthy combination. We can hypothesise that the client is likely to be unsuspecting of the motives of others and will also have a tendency to be open and forthright about themselves too. During the feedback session this hypothesis could be presented to the client and explored further. For example, has this ever landed the client in any situations where they have revealed too much information and then been taken advantage of? What makes the candidate consider the motives of others? How do they decide what information to share and what information to keep private? It is also possible to go for a hat-trick too. For example, we could hypothesise that if a candidate had E+, M+ and Q1+ within their profile. They are likely to be keen to influence (E+). They are likely to be open to change (Q1+) and likely to challenge the status quo. How would they go about persuading others around them about the benefits of change? By incorporating the M+ we could then go on and add further value. We could hypothesise that in addition to being keen to influence and proactive in introducing new ideas, their ideas might also be quite abstract and theoretical too. As such, we could explore with the client how they go about ensuring stakeholder buy in. Or how do they ensure their suggested changes are practical, rooted in experience and detailed while remaining influential? Please tell us about your experiences. What combinations have you generated? Did they add value to your feedback session?